I am so excited! 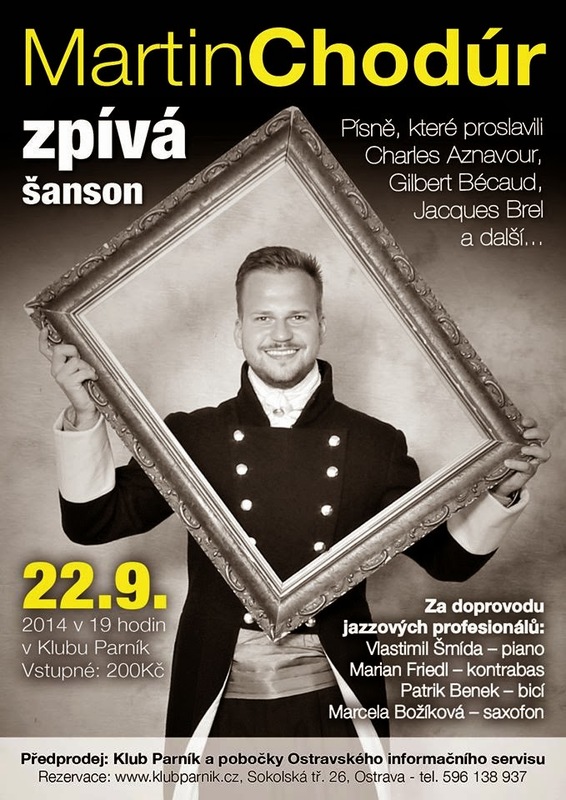 Martin Chodúr announced his next concert, it takes place at a club 'Parník' in Ostrava this September. I've already bought train tickets and I am looking for a hostel there. I has not bought the ticket yet but, hopefully, they will appear here soon. EDIT: I have the ticket! I should behave my age but my hands are shaking and my heart beats so fast, I am almost crying! Oh why? It has been such a long time (at least, it feels like that) since I saw Martin performed live (Have I already mentioned how talented he is?). Cannot flipping wait. That's what I have been dreaming of, Martin having a concert during my summer holiday. Well, I hoped It would be somewhere closer to my home (Prague or something), never mind, I am going anyway.